Following a second day of scouring the southeastern Pacific Ocean, Indonesian officials said Monday that missing AirAsia Flight QZ8501 probably crashed and went to "the bottom of the sea." 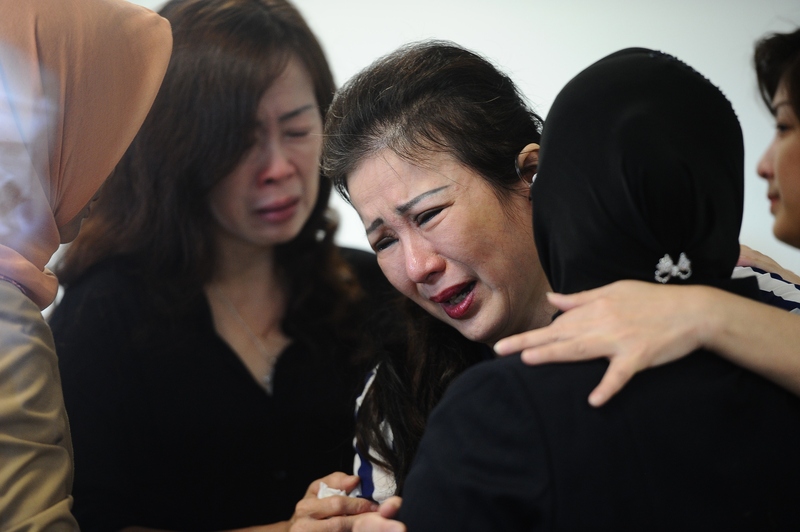 The plane, an Airbus A320-200 carrying 162 passengers, disappeared at around 7 a.m. Singapore time Sunday morning on its way to Singapore, having lost contact with local air traffic control after the pilot requested to take an alternate route. Although family members of the passengers continued to hold out hope, Indonesia Vice President Jusuf Kalla told reporters in Surabaya that the government is "prepared for the worst." According to Kalla, 30 ships and 15 search planes from four countries have joined the rescue and recovery mission for the missing aircraft. So far, the two days of searching have turned up short, save for some floating objects and a patch of oil. It's unclear where those objects came from, and Indonesian officials said in a news conference on Monday that the debris was being tested to see if it's connected to Flight 8501. ABC News reports that an Australian search team also found floating debris in the Pacific Ocean, but officials have determined that it's not from the missing AirAsia plane. Then, we'll look into it and see what we need to improve, if we need to improve. But it's speculation, at the moment, so it's premature to talk, at the moment. Based on the co-ordinates given to us and evaluation that the estimated crash position is in the sea, the hypothesis is the plane is at the bottom of the sea. BBC News reports that the search for Flight 8501 is set to expand on Tuesday. The search will focus on oil slicks found in the Pacific Ocean near the island of Borneo and off the coast of Belitung island. With affection and prayers, I am close to their family members and those who are living through these difficult situations with apprehension and suffering as well those who are involved in the rescue operations. The AirAsia plane reportedly vanished from radar Sunday morning while flying through bad weather over the Java Sea. Last known contact with Flight 8501 was made shortly after 7 a.m. Singapore time (6 a.m. Indonesia time), just 40 minutes after takeoff. According to CNN, the pilot had asked air traffic control for permission to increase the plane's altitude from 32,000 feet to 38,000 feet to avoid thunderstorms that were reportedly developing in the area. Air traffic control granted the request, but the pilot was not heard from again.